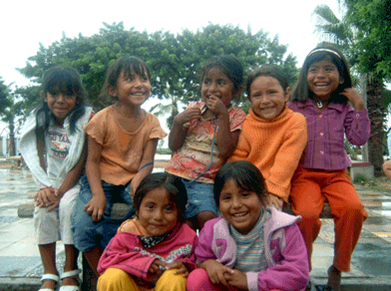 The Cruz Blanca Association has 47 years of experience educating the most needy children and youth of the cities of Lima and Callao in Peru. In this area 30% of inhabitants are children, many of which, 64% are afflicted by poverty, living in very precarious huts in the shanty towns surrounding the capital. Founded in 1958 by the belated Bishop Mons. Ricardo Durand S.J., it originated and has as its main purpose to organize summer camps in which each year it benefits 800 children, ages 4 to 13 years of very limited resources. 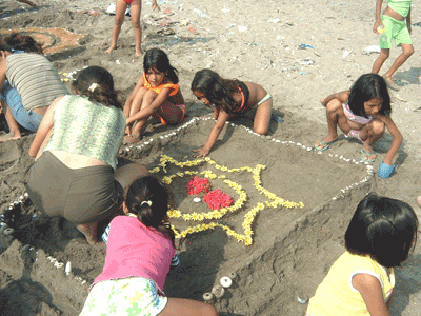 It is located in Ancon, which is 46 km North from the City of Lima in a seaside area of 40,000m2 where the camp is located, the children are educated, fed, taught the faith, and have many leisure activities at the beach, offering them the opportunity to have contact with the beauty of nature while offering them an environmental education. 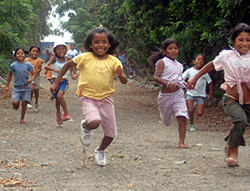 Throughout its' history, 40,000 children benefited from its activities. In the coming years, Cruz Blanca will continue working not only during summers but also throughout the year, offering vocational and technical courses for the needy youth. In this way they will be prepared and skilled for employment. The courses will include: carpentry, plumbing, sewing, computing, as well as courses in values, leadership, hygiene and health. Many children express their gratitude when they grow older by being volunteers and helping out at the summer camps. In this way they are role models for other young members of their same background and serve the needy as they once where served. This experience has demonstrated that poverty is no obstacle towards developing leadership skills, cultural development and sensitivity in relation to being charitable to others, despite the terrible condition in which most of these youth live in. Because of the need to further train and develop the volunteers, Cruz Blanca needs to improve its infrastructure, so that it can have a better space for the formation and promotion of leadership in these youngsters, which help children in and of their same reality and needs. Since the year 2003 Bishop Durand handed over the project to the Marian Community of Reconciliation. The Fraternas, as they are called, are responsible for undertaking the project, and are working to develop it so a great number of children and youth may be annually benefited. Cruz Blanca strives to develop and promote leadership in the youth of the most marginal areas of the cities of Lima and Callao in Peru, by training them in values, and offering them an environment where they discover their right to a more dignified life. The project developed installations for the volunteers so that they have an adequate space for their formation and lodging during the camps. The Nando Peretti Foundation financed Cruz Blanca for the restoration of the lodging and areas for the young volunteers of the camp. The lodging hosts 90 young volunteers who are in charge of taking care of and educating 800 children of their same economical background in the summer. The Nando Peretti Foundation believed that by offering better infrastructure to the young volunteers the participants will be more respective and encouraged to serve the needy children during the camps and to learn leadership skills. Thanks to the reparations that were done, the youth will discover the importance of providing dignified living environments for themselves and others for the future lives.